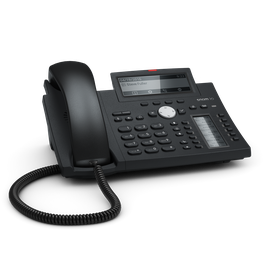 The Snom D3XX Series is perfectly designed to provide high class European aesthetics, and has been the telephone of choice for effective everyday work across millions of proven installations. Delivering the quality and functionality that professionals know is indispensable for everyday working life, whether on-premises or in hosted PBX environments. 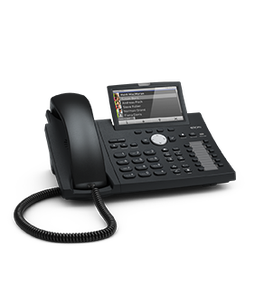 This bestselling line of telephones is feature rich and powered by proven, established Snom software that fulfills all requirements for advanced business telephony – including Wideband HD audio for crystal clear conversation, robust CTI integration, Bluetooth capabilities, HD displays and support for security standards such as TLS and SRTP. 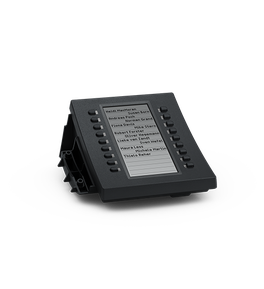 This series meets even the most demanding business budgetary requirements and is available in four models ranging from the low end up to the executive office. The D3XX Series phones support Snom IO, the open platform that empowers developers to create and integrate applications on the telephone. 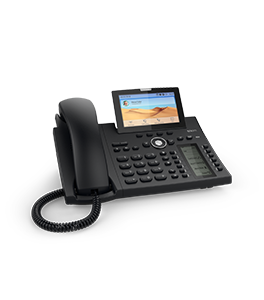 This capability enables businesses to utilize more sophisticated and specific functions to better configure their desktop telephones around the way they work. 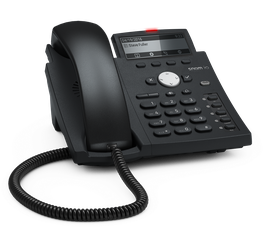 Businesses using Snom IO-enabled telephones can develop their own ideas in an open approach that promotes efficiency, cost reduction and increased employee performance.